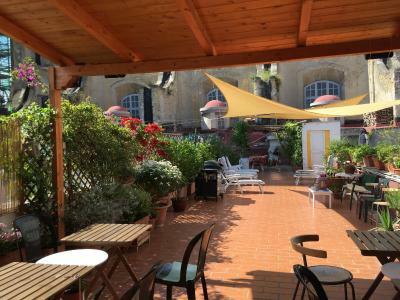 Lock in a great price for B&B La Terrazza – rated 9.7 by recent guests! The hospitality and friendliness was incredible. Breakfast was also amazing, and our hostess made breakfast for us fresh to everybody’s special dietary needs. Beautiful quiet terrace in the middle of the city. Everything! The one on one experience with Valentina and Dario was a highlight with my Mom. The breakfast wa amazing! Valentina and Dario were wonderful hosts. They were warm, helpful, and made us feel as if we were staying with friends. 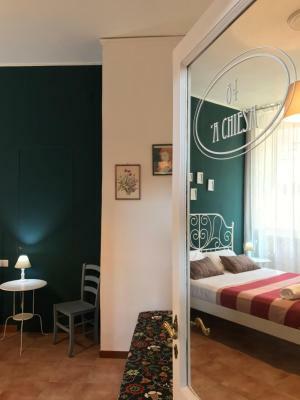 For our purposes (arrived late in Naples, one night stopover before heading South), the room was very comfortable and afforded us a much needed rest before embarking on our Southern Italy adventure the next day. The hosts were fabulous so friendly helpful and genuinely warm with a heart of gold. Breakfast was great nice and tasty. The room was big clean and a big bathroom well appointed room and bathroom. Do yourself a favour try it. 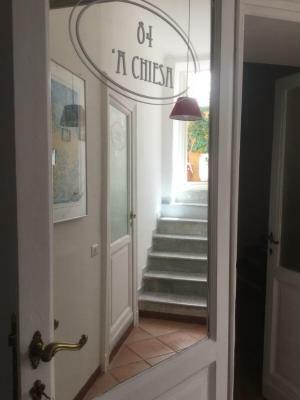 Wonderful owners, great location, comfortable room. Had an excellent stay. Super friendly hosts and great location in a building with so much character. 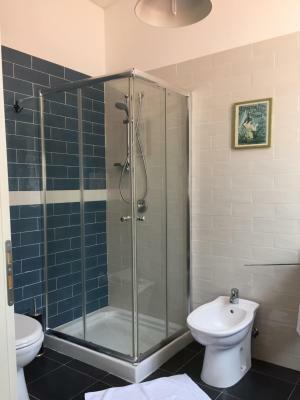 It is a very clean place, and it is exactly the same as in the photos, very nice location. Further, the owners of the place are very helpful and welcoming. We would definitely stay there again! Everything was great! 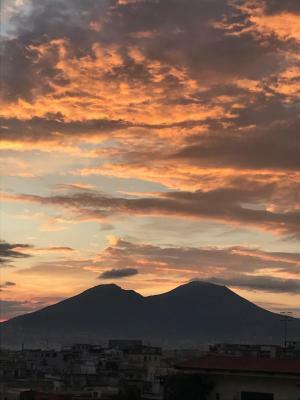 We stayed in Napoli for 4 nights and staying here really helped us have a wonderful first time in Italy. Valentina and her husband made us feel right at home. The location of the B&B also worked out nicely for us since we could pretty much walk to all place we wanted to go or take public transit easily. The room was also super cute and comfortable. I would definitely stay here again! 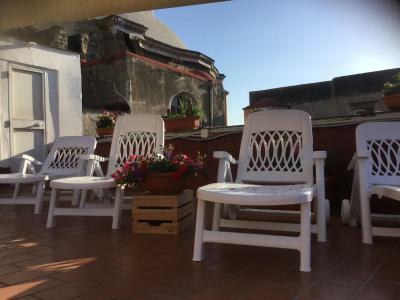 B&B La Terrazza is set in Naples, 1,650 feet from San Gregorio Armeno and 15 minutes' walk from Porta di Massa port. 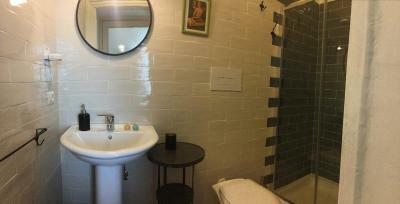 Rooms are fitted with a private bathroom. Extras include free toiletries and a hairdryer. 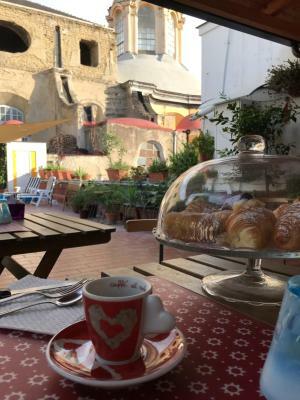 B&B La Terrazza features free WiFi throughout the property. A flat-screen TV is available. 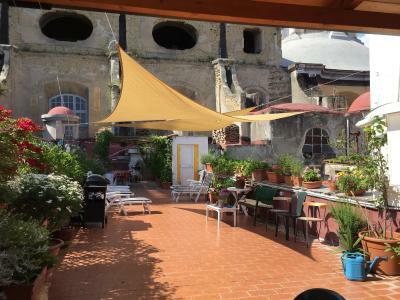 Molo Beverello is 0.9 mi from B&B La Terrazza, while Maschio Angioino is 0.9 mi from the property. 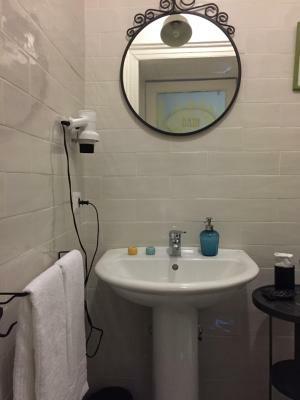 The nearest airport is Naples International Airport, 2.5 mi from B&B La Terrazza. Port of Naples is a great choice for travelers interested in pizza, atmosphere and city walks. 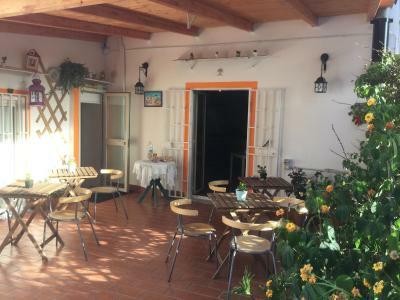 When would you like to stay at B&B La Terrazza? 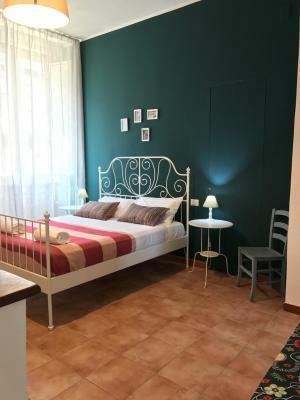 This double room features a electric kettle, stovetop and dining area. 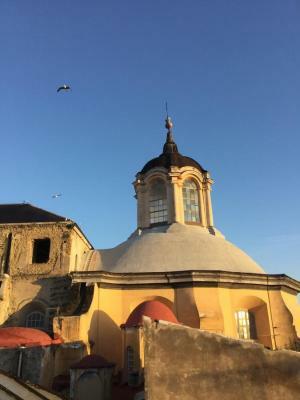 Area Info – This neighborhood is a great choice for travelers interested in pizza, atmosphere and city walks – Check location Excellent location – show map Guests loved walking around the neighborhood! 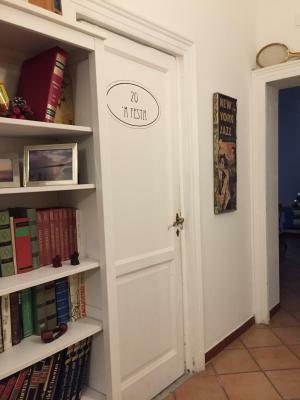 House Rules B&B La Terrazza takes special requests – add in the next step! Please inform B&B La Terrazza of your expected arrival time in advance. You can use the Special Requests box when booking, or contact the property directly using the contact details in your confirmation. For some odd reason we ended up with mosquito visitors in our room and ended up getting bit a bunch of times. I don't think there's anything anyone could really do about that, so I'd just recommend wearing long sleeves to bed. Absolutely nothing one could complain about! 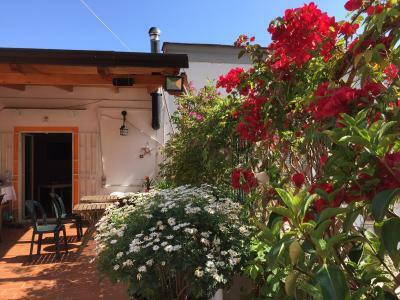 La Terrazza is one of those places that as soon as you enter give you that perfect vibe, possibly the best bnb I've ever been to, hosts are so hospitable they leave you speechless! The location is perfect for reaching any spot of interest by foot, and there's like 1million shops in the area :) The big terrace is simply outstanding, I really enjoyed working on my laptop there, and it's incredibly quiet, despite the huge amount of traffic in the street Breakfast is simple but very good, amazing bread! 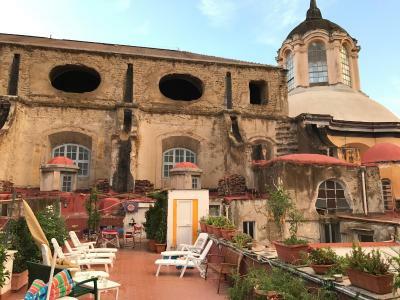 A wonderful oasis in the heart of Naples. Owner Valentina and her husband have created a lovely, welcoming environment that is spotlessly clean, quiet and comfortable. 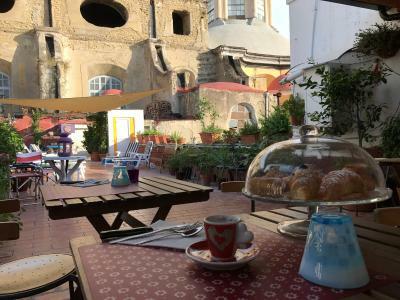 The breakfast was delicious and served on their pretty terrace. 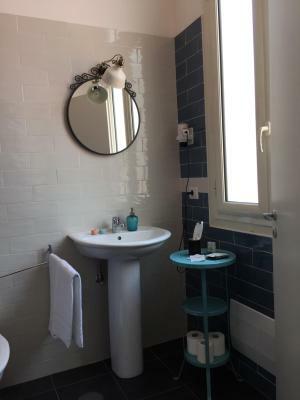 We really enjoyed chatting to Valentina, who speaks excellent English and would love to return to stay next time we are in Naples. The hosts, Valentina and Dario, super friendly and dedicated. 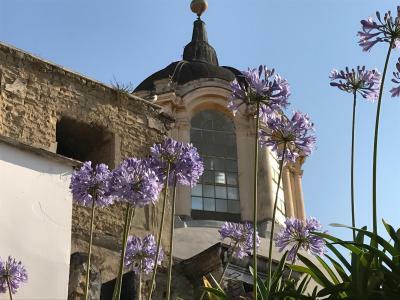 Also with many great tips to enjoy the city and the region. 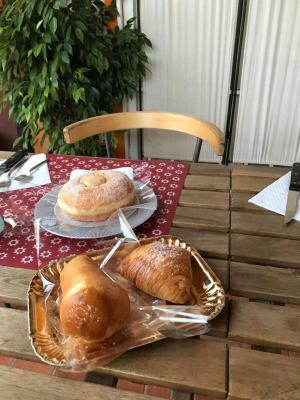 Very good breakfast with local produce. Location is perfect. Highly recommended! One of the small pictures on the wall depicts images that come across as racist. No doubt unintentional (it’s a classic old painting from early last century) but I guess I would be inclined to replace it so as not accidentally offend. 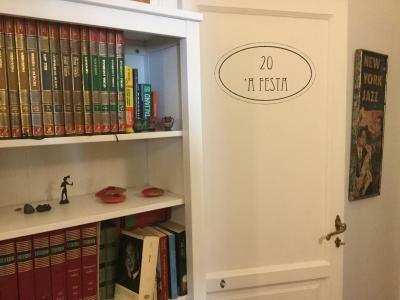 Valentina is a charming and impressive host, switching comfortably between languages spoken by different guests and paying attention to the small details that will make their stay more enjoyable. 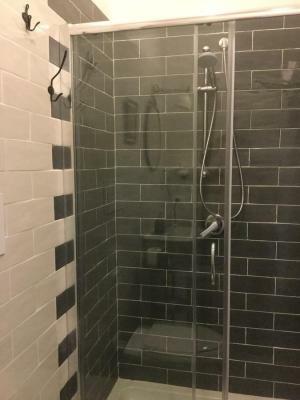 The apartment is simple, charming and very clean, with a big bathroom and great shower. It is handy to the train station and within 150m of world class pizza. Our requested vegetarian breakfast (served on the terrace) was excellent. Happy to recommend and would stay again if we return to Naples. Wonderful hosts, super friendly and accommodating. Great location for exploring. And the terrace is the best escape of the city noise and scooters! Perfect location from the train station, the port, the attractions & Pizzeria da Michele. Comfy room and friendly owner.